An immensely-rare opportunity for direct access to one of the most beautiful lakes in the world. With prime Kalamalka Lake frontage, this expansive lot + house package offers endless prospects for your future permanent vacation home overlooking desirable Okanagan waterfront. The property is beautifully flat for the utmost in ease for future building, with a three-bedroom home at 2150 square feet currently. Further, a spectacular location close to local amenities, recreational opportunities, and nearby schools opens the doors for year-round living. Come take a look at this potential-rich Kalamalka lakefront lot located in a prime area of Coldstream today and imagine the possibilities. Expansive property with significant Kalamalka Lakefront – approximately 86 feet. Deep lot with total size of an incredible .412 acres! 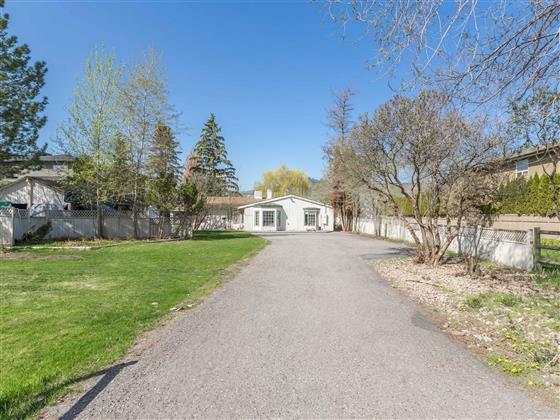 Great beach front property in one of the North Okanagan’s most desirable neighbourhoods. Level lot, making future development and building your dream home a breeze. 3-bedroom + den home standing at 2150 square feet currently on the lot, making a future rebuild much easier. Great opportunity for a temporary vacation home, or begin immediately building your dream home to live the permanent vacation lifestyle. Spectacular location close to Alexander’s Beach Pub, Kalamalka Beach, Coldstream Elementary and Kalamalka Secondary Schools. For a private viewing of this rare large lot +home on desirable Kalamalka Lake, call the Salt Fowler Team today at 250-549-SALT (7258) and "Just Add Salt"!